This is what the Ajanta Caves look like from the outside. These 30 rock-cut caves are buried deep inside a horseshoe shaped gorge of the Waghora river. They represent the two distinct phases of Buddhism - the Hinayana phase from the second century BC to the first century AD and the second Mahayana phase from the fifth century AD to 6th century AD. They are a prime example of early Buddhist architecture and art. These caves remained safe from Mughal invaders as the caves were hidden deep in the rocks inside the jungles outside Aurangabad. 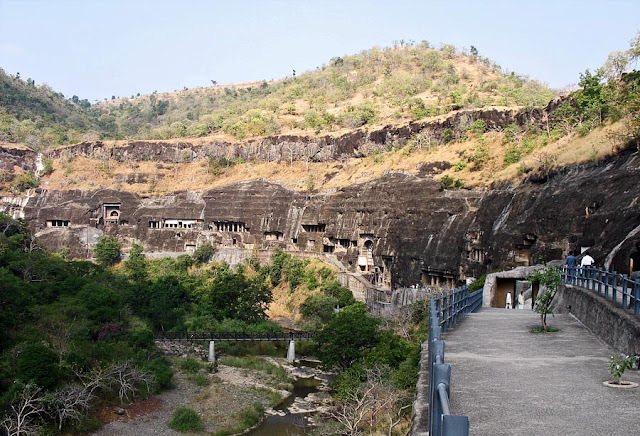 The caves stretch out into a long distance and Aurangabad is hot, so it is a long hot walk on concrete and stone. The caves are often double storeyed, if not higher, and that means climbing up and down for hours. Plus, the caves are huge inside with various halls and rooms and thus exploring some of the big caves can take over an hour. Chalk out a whole day for this adventure if you are serious about seeing this ancient art! 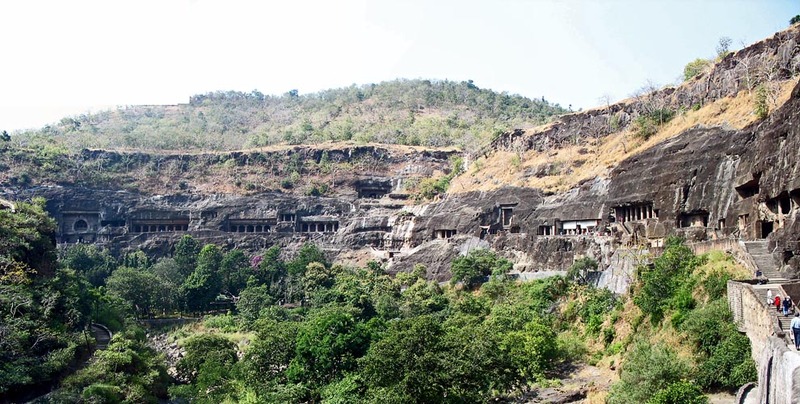 A closer view of the rock caves at Ajanta, on the outskirts of Aurangabad. This is the view when the camera was turned in the opposite direction. Another view of the Ajanta caves. The road to walk on is hard concrete and heats up. Decent and accessible toilet facilities were not available, at least not when we went. The toilet was locked! 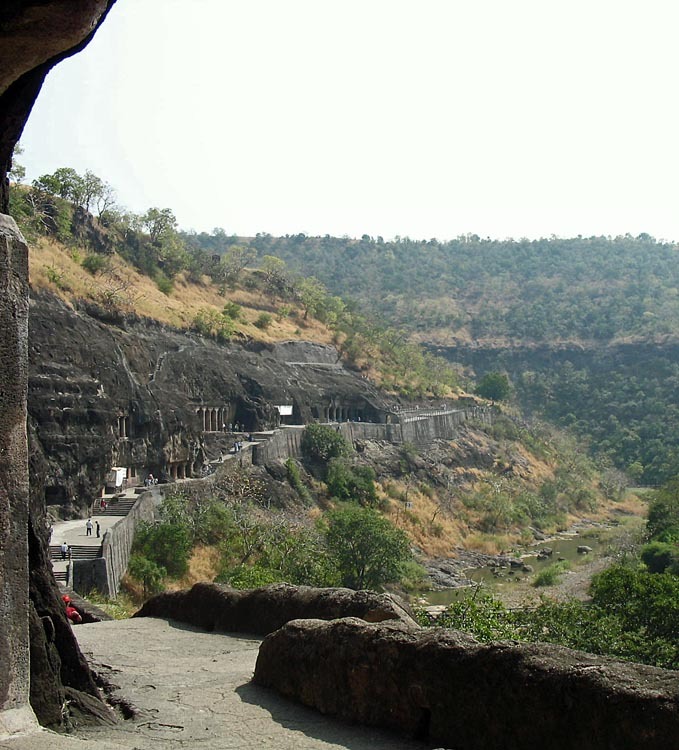 You might also like View from Ajanta - scenery of rocks, caves and hills which is a panoramic view of the hills surrounding Ajanta caves, through the mouth of the horseshoe.